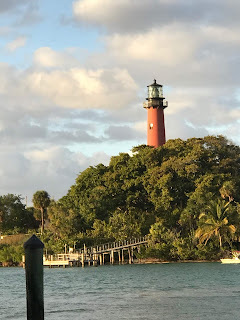 The lighthouse dominates the relatively flat landscape of Jupiter, Florida. It is the iconic symbol of the region and I always take a few images of it whenever I visit. 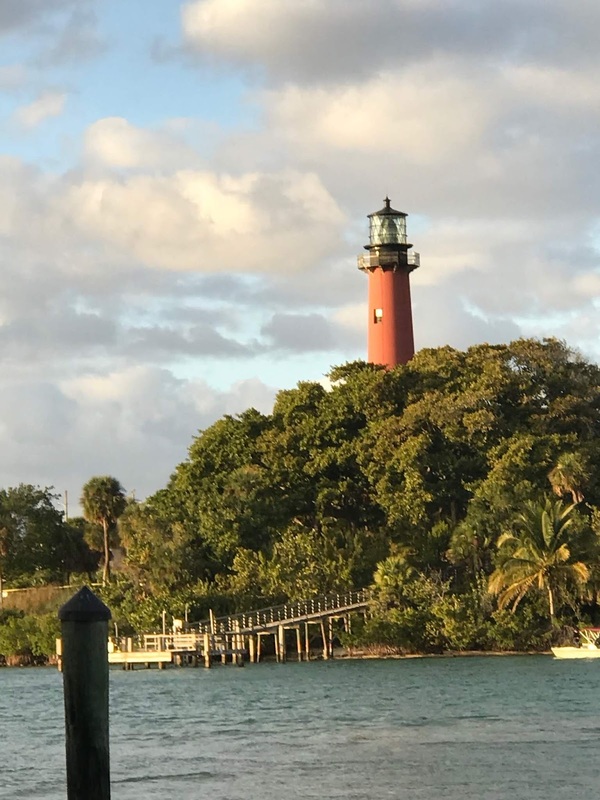 I love the the lighthouse especially near sunset as the low, golden rays of the sun illuminate the red structure. I have also been excited by the sky and the clouds as I have been vacationing this week. Chris and I actually got in 9 holes of golf yesterday. It was fun to be on the course, but the 40 mph gusts of wind certainly made the outing an adventure. A true adventure. Some of my best shots wound up getting carried into the bunkers by the wind. But, it was fun that my first golf outing of 2019 was with Chris in Florida!